We believe that harmonizing capital empowers lives. Thus our approach is to carefully assess each client’s particular challenges related to human capital, financial capital, and succession capital. Then we methodically identify and test solutions that suit the overall plan requirements, consistent with the company’s own unique culture (creating purpose-built capital solutions). 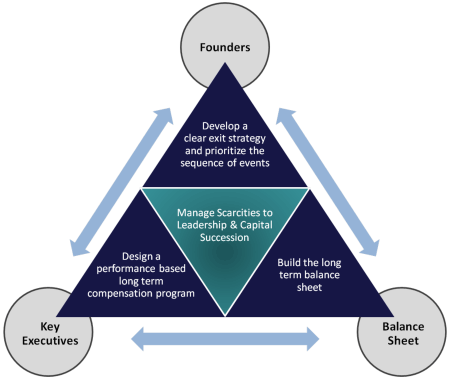 Our approach has an overriding goal: help middle market companies and business owners create the capacity to scale, enable a high performance organization, and explore pathways to achieve succession. We work with our clients throughout the implementation process and on a recurring basis to achieve client objectives. Working in this fashion across the business and personal domain, we help owner/investors, executives, employee and families to achieve financial freedom.